Here's an interesting fact: during winter, the bills and feet of puffins fade to dull shades of their summer colors. 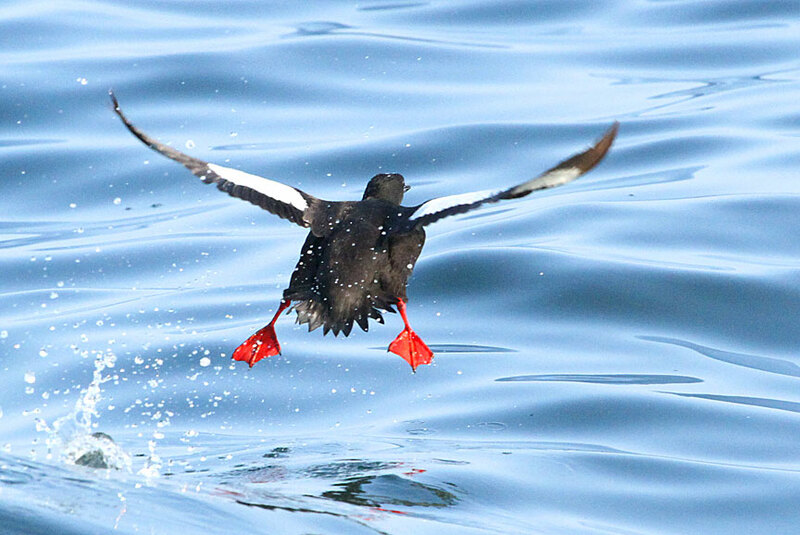 Every spring their beaks and feet turn a colorful orange in preparation for the breeding season. 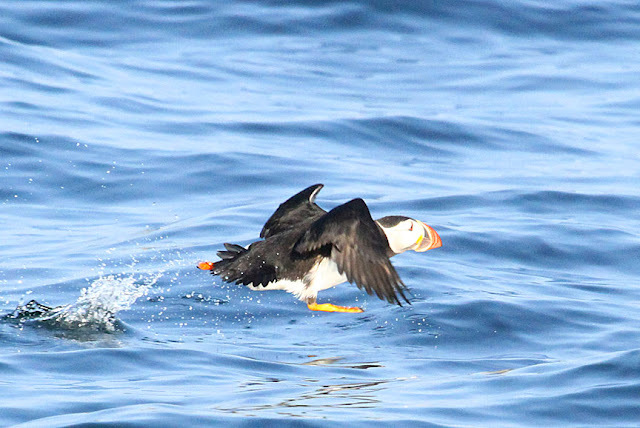 The beaks and feet of puffins become brightly colored and the beak increases in size as the bird matures. 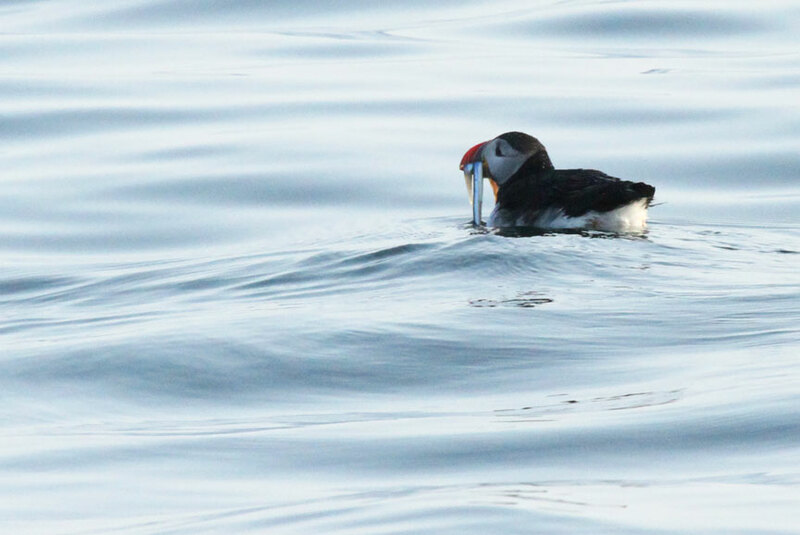 The size and color of puffin beaks may serve as badges of experience and help birds assess the 'quality' of potential mates. 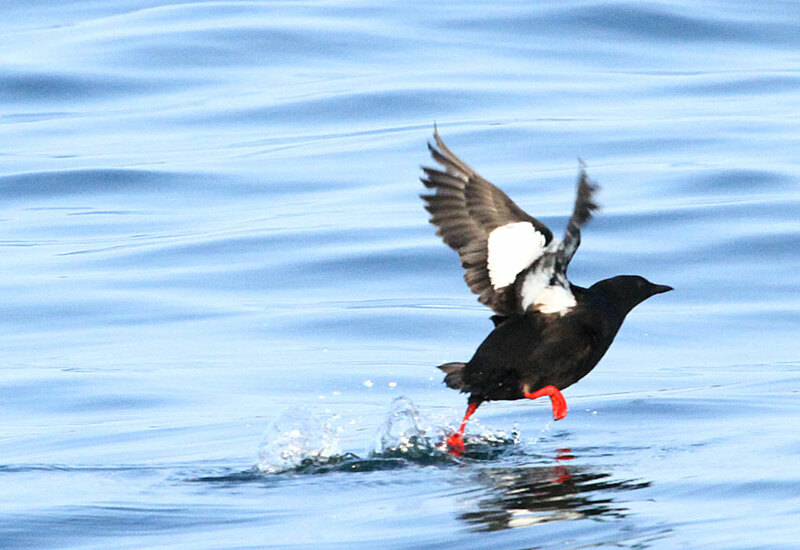 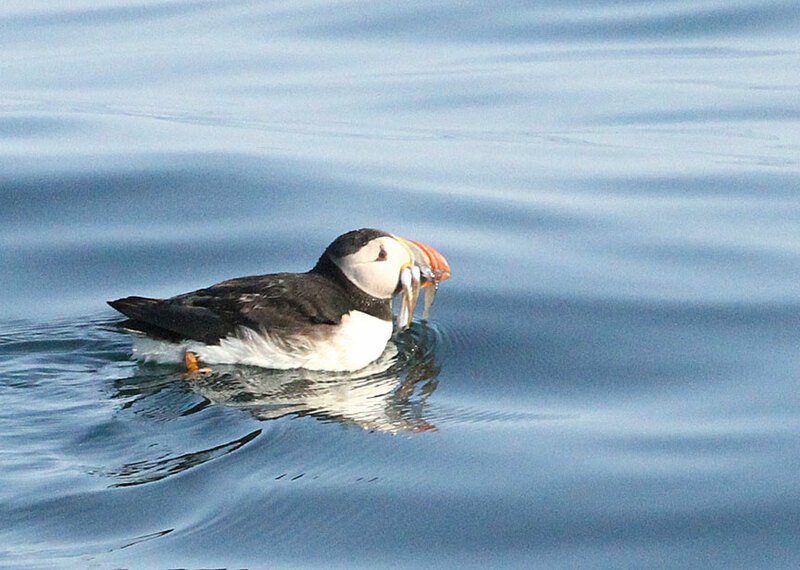 According to Audubon's website: Puffins hunt a variety of small fish including herring, hake, capelin and sand lance. 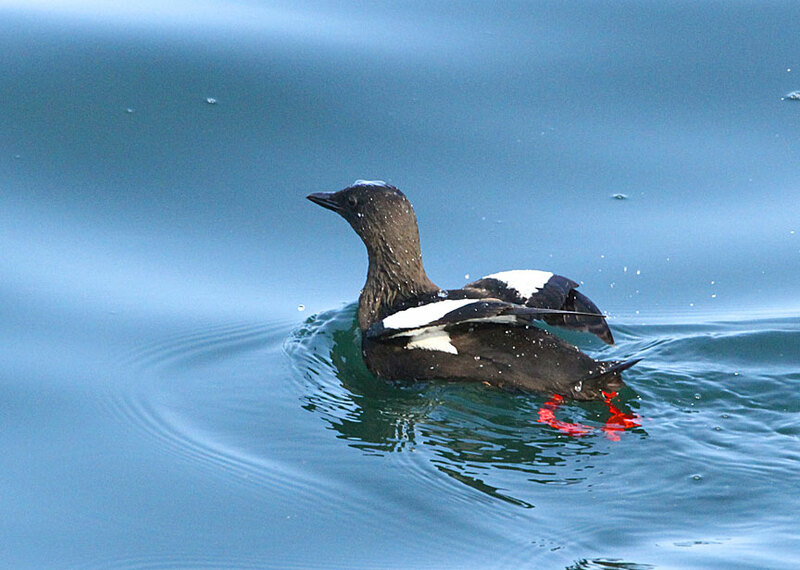 They do not come to land outside of the breeding season, flying, swimming or riding the ocean surface throughout the year regardless of weather. Along the way we saw lots of birds, puffins, black guillemots, laughing gulls, common eiders, double-crested cormorants and common terns. Laughing gulls and common terns were the most common birds. 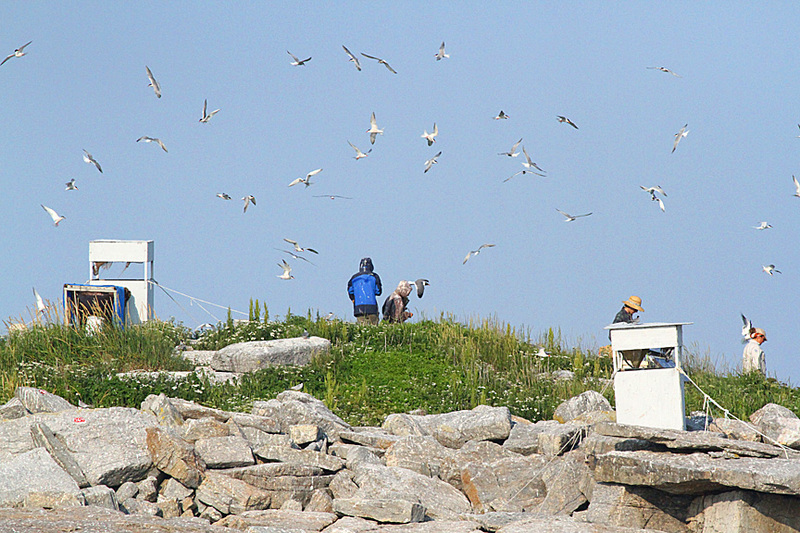 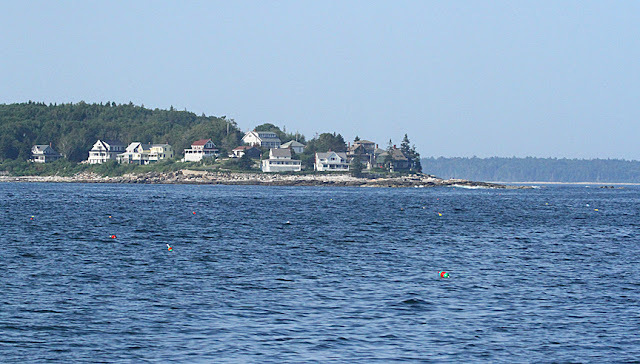 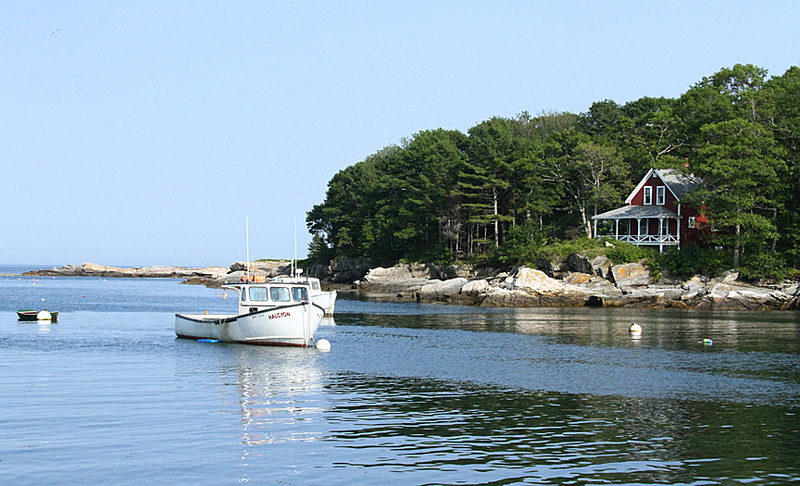 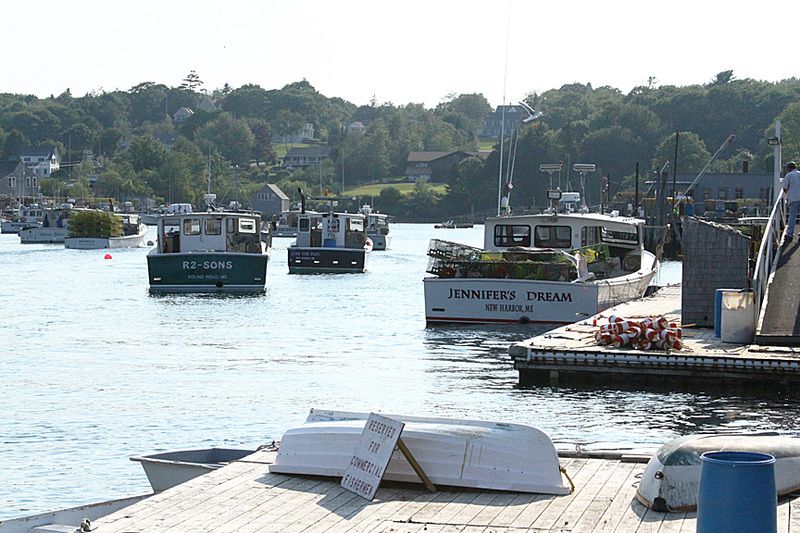 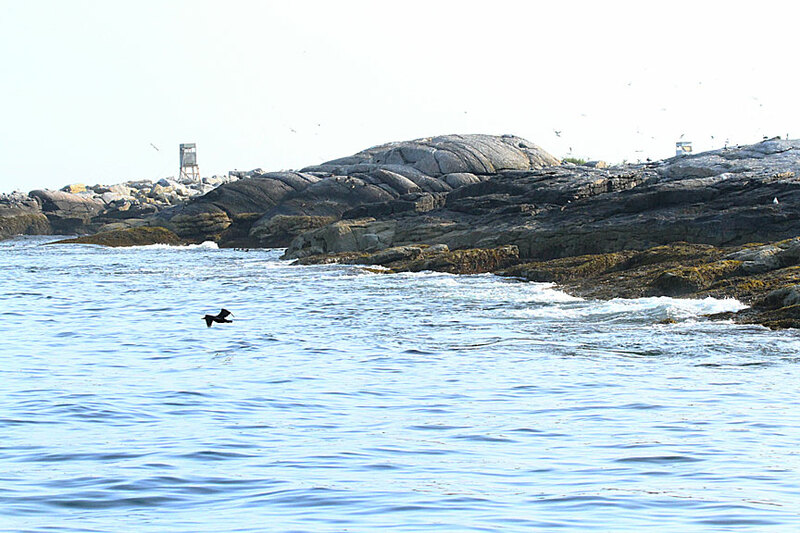 The island, while closed to visitation during breeding season, is home to 4 or 5 researchers. 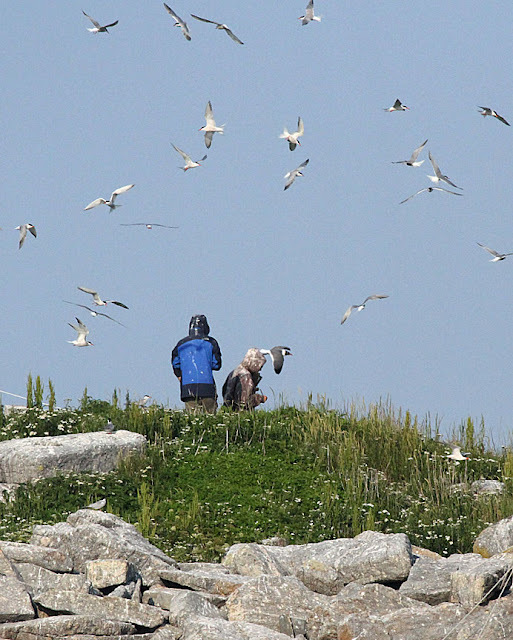 Work includes projects such as: annual tern, eider, and laughing gull census; tern band resighting, chick provisioning, productivity and growth studies; puffin census, productivity, band resighting and provisioning studies; vegetation monitoring and management; predator management; and daily weather and bird lists. The need for protection from what "rains" from the sky is evident! 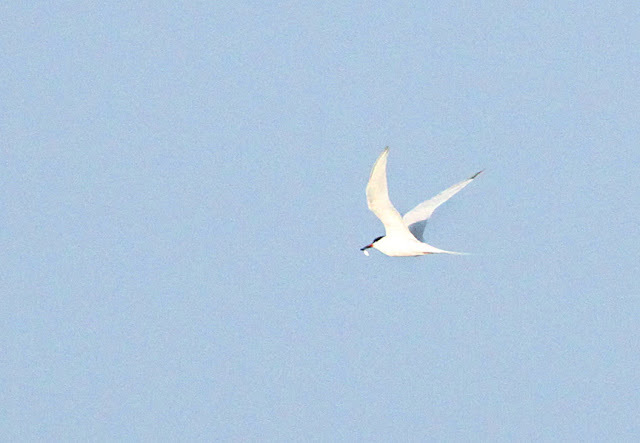 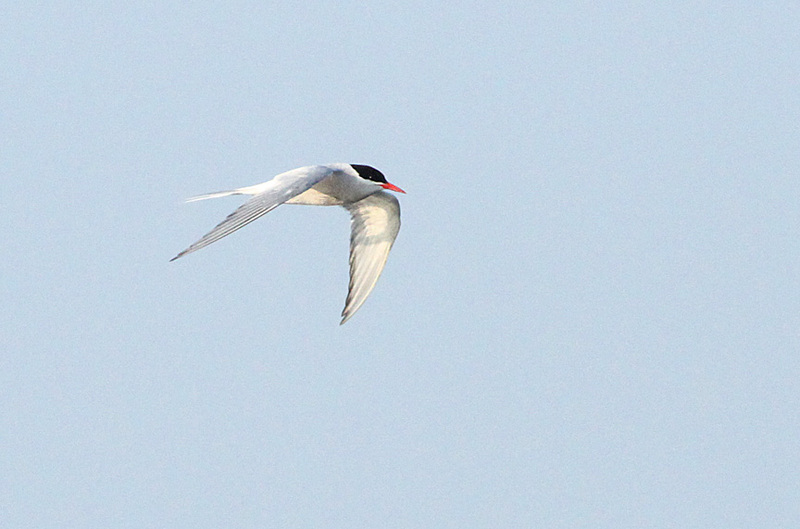 This was a great chance to see roseate terns, listed as endangered by the US fish and wildlife department. 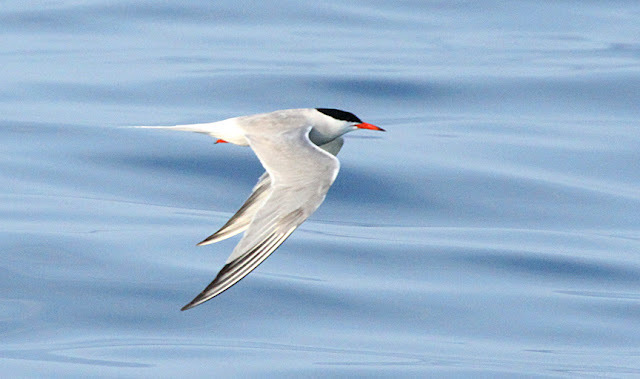 The largest colonies of arctic terns occur in Maine where they nest close together in order to be safe from gull predation. 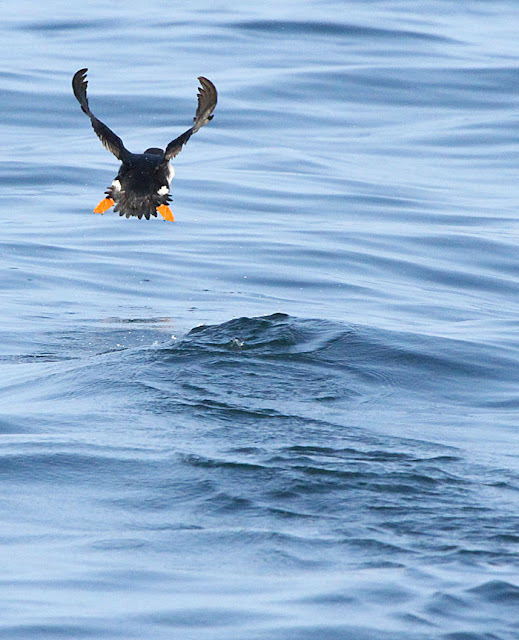 On the way back from Eastern Egg Rock, we saw 3 Cory's shearwaters flying around the boat. 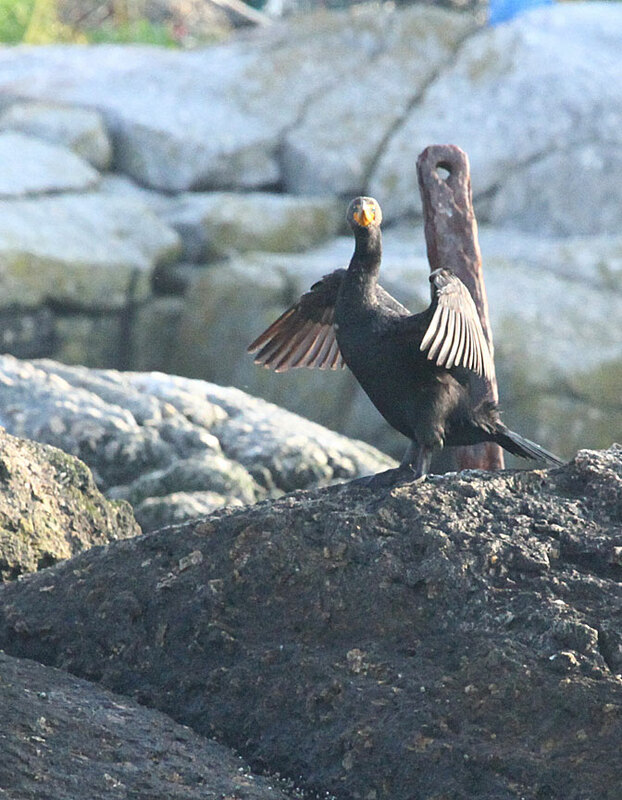 This large, brown seabird is usually seen farther out at sea. 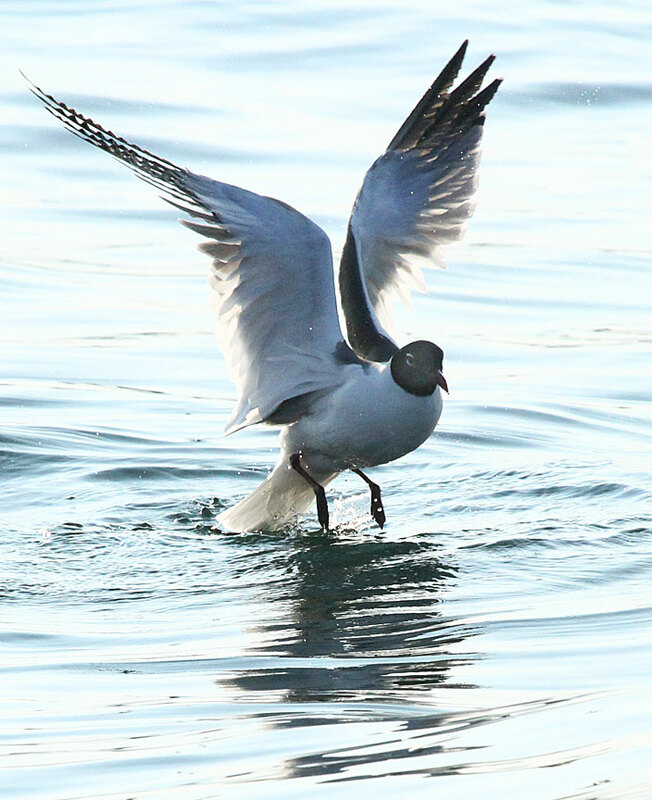 They are large (44" wingspan) and flew low above the ocean with strong wingbeats and short glides. This was an unexpected treat and unfortunately, Gerry had put his camera away!